Termidor is a termiticide that delivers 100% control in a single application in 3 months or less. What makes Termidor different from other termiticides? Fipronil - the active ingredient in Termidor - works quite differently from other termiticide active ingredients. Most termiticides are repellents, which means they keep termites away from a treated area, rather than killing them. These repellent termiticides also kill termites. However, since the termites are repelled when they come in contact or just before actually contacting pyrethroid treated soil, the 'killing power' is less dramatic and if anyone took the time to count dead termites, less efficient. Termidor is non-repellent. Termites can't detect it. Since they don't know it's there, they forage freely in a treated area. Termidor controls Formosan and subterranean termites, the two most destructive species in the United States, which account for 80% of the $2.5 billion in annual destruction to homes and buildings. Can Termidor be used in both residential and commercial termite control? 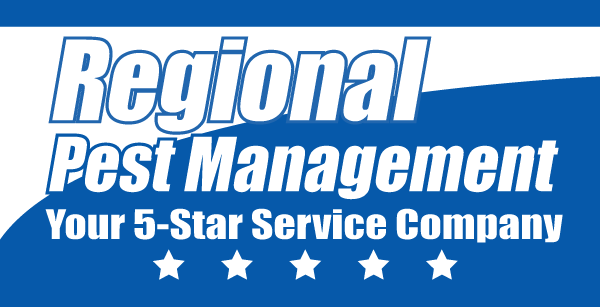 Yes, a trained pest management professional (PMP) may choose to treat most any type of structure that is at risk for termite damage. These structures may include residential homes, churches, office buildings, and schools. How fast will Termidor work once applied properly? In every test, Termidor has achieved 100% control of termites within three months or less. That's significantly faster than termite bait/monitoring systems, which typically take 6 to 18 months to control termites. How long does Termidor last once applied? Time and again, Termidor is proven to have staying power. Termidor binds to the soil, so there's no leaching through rainfall or irrigation. Numerous government and other tests in the US and abroad have shown that in 7 years there has been no break or reduction in Termidor's effectiveness. Does Termidor have/leave an odor? Will you have to use a lot of chemicals to rid my property of termites? Termidor is highly effective at very low application rates. When your pest control professional applies Termidor, the active ingredient (fipronil) typically comprises just 0.06% of the treatment. That's a lot less than old-fashioned termiticides and less than most insecticides (read the labels on the aerosol cans!). Termidor is a responsible, low dose treatment. The active ingredient in Termidor, fipronil, has been used since 1995 for flea and tick control on millions of cats and dogs. Termidor is fully approved by the U.S. Environmental Protection Agency (EPA) as well as by relevant government authorities around the world. Has Termidor been tested thoroughly? 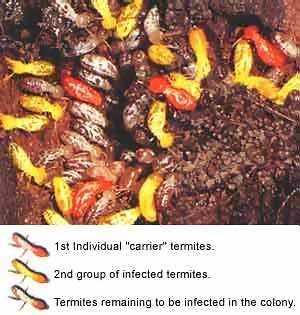 Termidor is one of the most tested termite solutions in history. Before Termidor was made available to American homeowners through Termidor certified professionals, it was subject to some of the toughest tests ever devised. For seven years, grueling USDA-Forest Service ground board and concrete slab trials in four states tested Termidor. At every application rate and at every location, Termidor proved 100% effective - for all seven years! Will Termidor kill all the termites, or just some? No. Termidor can and must only be applied by a Certified Termidor Professional, such as Regional Pest Management. Aventis Environment Science makes Termidor. For more information on Termidor®, please consult the official Termidor web site by selecting this link.